EDIT: And the winner is Beck Clark! Thanks very much for entering everyone! Have fun at the show! It’s getting very close to January 2018, which means it’s also getting very close to Brickvention 2018! If you’re not sure what Brickvention is, or even where it is, it’s held in Melbourne and is the biggest LEGO fan convention in the country. I’ve never been before, but I do know a lot of people have been and absolutely love it. There are some stunning exhibits, lots of LEGO type things to do and plenty of people to talk to who love the plastic brick! Brickvention 2018 is happening January 20 and 21, 2018, at the Royal Exhibition Building in Carlton, Victoria from 9am to 5:30pm. Tickets are available online at TryBooking and will set you back $18 for adults, $9 if you’re aged between 4 and 14, and free if you’re under 4. That’s pretty good for a good day out! 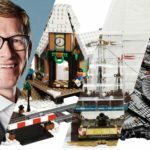 There will also be a bunch of guest speakers talking about their experiences with LEGO on the Convention Day, January 19th. They include Mariann Asanuma all the way from the US, who is the world’s first freelance LEGO Artist, Bailey Fullarton, from Queenslander who has a stunning collection of very rare LEGO items and the boys from Brickstameet. With a big thanks to the organising committee, I’ve got one (1) Family Pass to give away! That’s free entry for two adults and two children on the Saturday or the Sunday. All you need to do to win is comment either below this blog post or on this Facebook post and let me know why you’d like to be at Brickvention 2018. Obviously, you also need to be able to make it to Melbourne on those dates. That’s it! 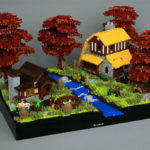 If you really want to, you can also like the Brickvention and BricktasticBlog Facebook pages if you haven’t already. That way, you can keep up to date with everything! 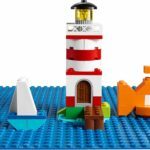 The competition will end 5pm AWST Sunday January 7th, 2018, with the winner randomly selected and announced at the top of this post and on the BricktasticBlog Facebook page a few hours later. Thanks very much once again to the organising committee for supplying the Family Pass! I would love to take the family to brickvention because I’ve been lucky to share my love of lego with my son, im slowly getting my wife on board and hoping to get my daughter involved one day too and this will be a stepping stone for her in that direction. Plus im hoping to be an exhibitor in the next few years and it would be a good chance for me to see how others have done their displays and talk to them about it. Any and all ideas will help. I would love to take the family again this year – we are a family of LEGO freaks! We haven’t been to Brickvention in a few years, but this year it has fallen on the day before my youngest sons 12th Birthday. He has Autism and loves LEGO – he received a Star Wars Y-Wing for Christmas. It would be an amazing Birthday for him to go to Brickvention! I have never been to Brickvention but would love to go this year. A massive Lego fan myself, my son is just starting his Lego journey. I would love to take him and my partner to see some of the amazing work done by the Brickvention talent.